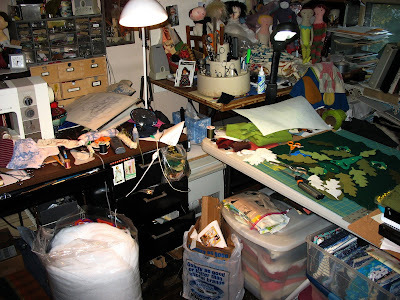 "The chaos on my desk is reflecting how scattered I am, working for the Holiday selling season. The mess also means lots of work is getting done. I don't usually stop to cleanup until I've run out of steam!" That *is* pretty chaotic, I'm glad things are going so well this season. You have a great workspace, I felt creative just standing in it that one time.